iPhone, iPad or iPod touch needs cleaning especially when you use it for a long time, as it will store some useless files or fragments which won’t be good for the performance of your device, like incomplete data traces, cache, cookies, corrupted files, crash logs, etc. Besides, some files that you deleted before will also store in your device, which makes private data at risk of being disclosed. In this case, you may need an iPhone cleaner for help. The one called “iPhone Cleaner” of course works to clean your iPhone, but is it the best one? Let’s have a look. 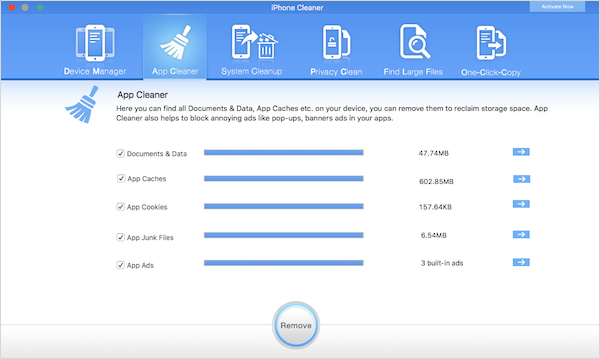 The device manager included in iPhone cleaner has a good number of functionalities such as the ability to configure, organize and manage apps and the data files on your iDevice. It not only aims at making your device clean, but also tries to tune up your device. It provides several functions so that you can choose one according to your needs, like Apple cleaner, System cleanup, Find large files, privacy cleaner, etc. In our test, the app successfully identified what consumed our data user space and eventually assisted in the deletion process of any unwanted files. 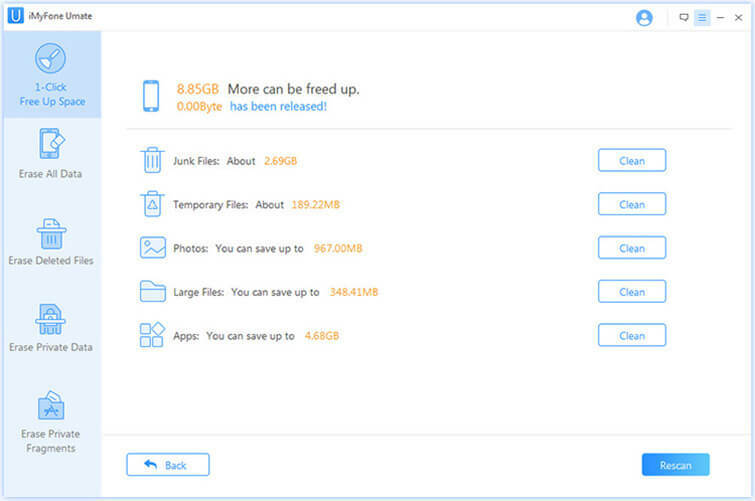 Once it had successfully completed a full scan of your device, the different files consuming your space are identified with different size, different colors and different graphics making it easy understand which applications or files occupied the most space. We found the interface easy to understand and use and the deletion too was quite efficient. It permitted us to liberate a little space through the deletion of unwanted and junk files. At the end the phone had more space available. Has an easy to use interface that will easily show you which applications consume space in your phone and how much space it consumes with the help of different graphics. Can back up all the important data on your phone in just a single click. Will back up files such as pictures, videos, personal notes and music among many others. Can locate the large files quickly and rapidly delete them to make more space available. It doesn’t support to erase data from third-party apps. The deleted files which are still recoverable cannot be found out and destroyed to be unrecoverable. It doesn’t provide a complete reset which makes all the private data completely gone especially when you want to sell your device. Photos cannot be losslessly compressed. iMyFone Umate iPhone Cleaner Win/Mac is an amazingly powerful app which takes cares of both space cleaning and data erasing. With all the advanced functions, it will make your iPhone, iPad or iPod touch run at the optimal status and secure all the private data safely from being leaked. 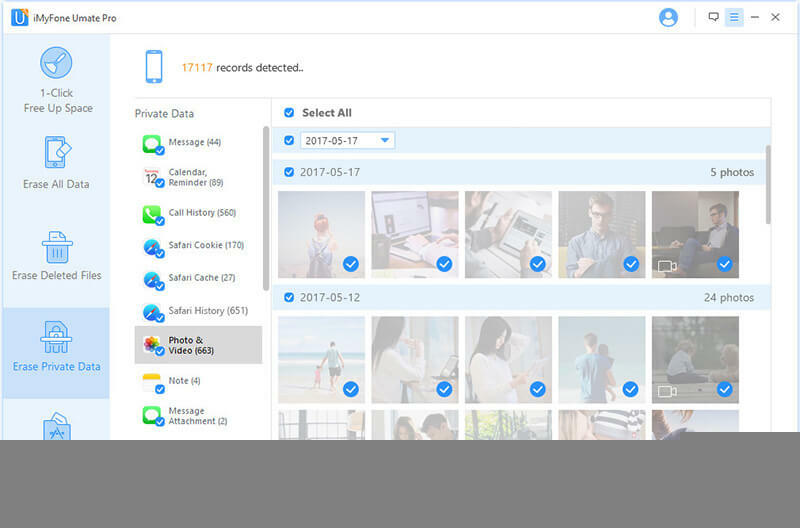 It’s one-stop cleanup allows you to clear junk files, temporary files, apps and back up, delete, or compress photos and videos. The files that you deleted before will be detected so you can completely destroy them. Wipe data and fragments of third-party apps such as Viber, WhatsApp, Snapchat, Kik, Facebook, and 10+ more. Secure personal information when selling, recycling and even giving out your iPhone. 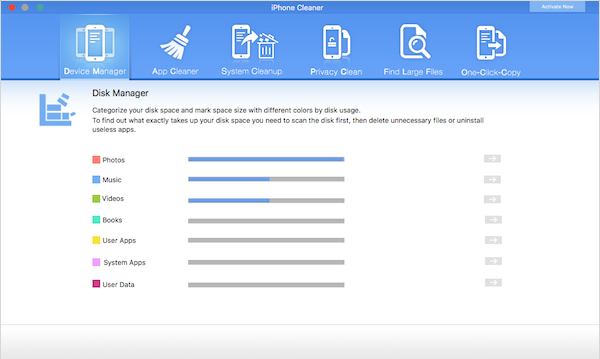 In our test, we found out that iMyFone iPhone Cleaner is an amazing and very powerful tool to delete unwanted files. It concluded and in-depth scan of the phone, and could even identify most, if not all of the hidden files that secretly occupied some really valuable space in the phone. It’s very easy to use and convenient for all, from the IT experts to the amateurs. It clearly shows how much space, in GB is occupied by each file to be deleted. To conclude, this app is a really valuable asset for whoever is seeking for an efficient and easy to use iPhone cleaner. We highly recommend. Besides, we found that there are lots of famous software review sites recommend iMyFone iPhone Cleaner as well, such as getintopc.com, MacWorld, APPKED, and 50+ more. You can preview and select what you want to delete. It completely remove not only private data but also incomplete traces from 3rd-party apps. It uncovers even the most hidden files, cache, cookies, temporary files, corrupted files, crash logs, and more. It detected the files that you manually deleted and completely overwrite them. It provides free trial before you purchase. You can scan your iPhone for any data for free, but if you need to erase them, you need to get the license. It now supports to erase data from 4 third-party apps and erase traces from 15 apps. If you need more, you can contact their technical support to add the function. Step 1: Connect you iPhone to your computer via cable and run the cleaner. 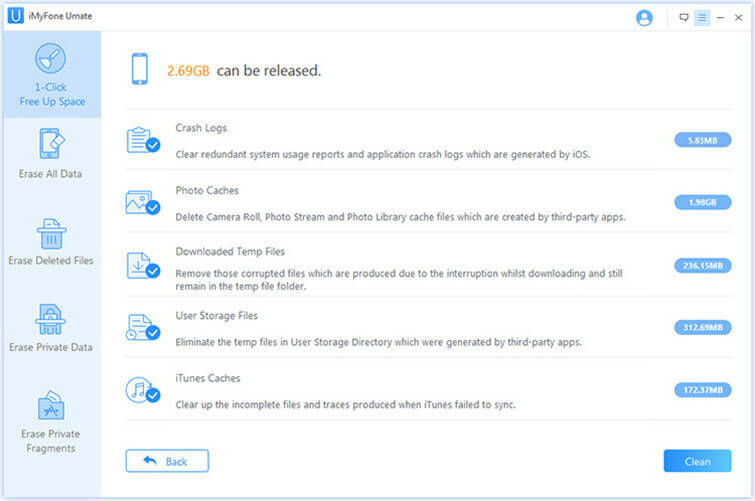 Step 2: Click on “Quick Scan” to conduct a full space analysis that will have the software estimate how much space could be saved by cleaning up large files, junk files and compressing the data that can be compressed. Step 3: You can now liberate some space in your device by clicking the button “Clean”. The app will then show you how much space was liberated and how much more could be. Step 1: Run the cleaner and connect your iPhone. Step 2: Choose from the erasing modes from the left sidebar, like “Erase Private Data”, and let it scan. Step 3: It will display your private data there. Preview and select the data you want to erase and hit “Erase Now” to continue. Next, type delete in the box and confirm it.